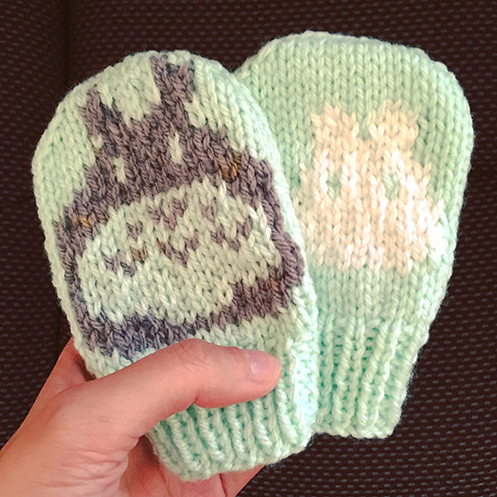 I made a pair of Totoro baby mitts for a friend who just had a baby :) Following the charts from this Ravelry pattern. For the small Totoro, I used this Totoro hexipuff chart. So I made 3 headbands, all on the knitting loom, with either two strands of worsted held together or one strand of super bulky weight yarn. They were all made on the 36‐peg round loom. The far left one is just a long tube of e‐wrap stitches until it was about 8 inches long, then the top and bottom edges are sewn together so it’s double thick. For the middle one, I followed this video tutorial. 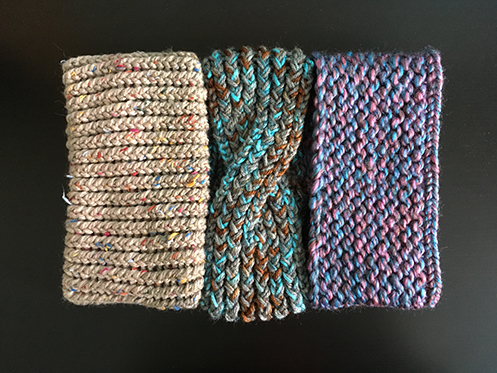 The one on the right is made with garter stitch, which is basically alternating one round of e‐wraps and one round of purl stitch. 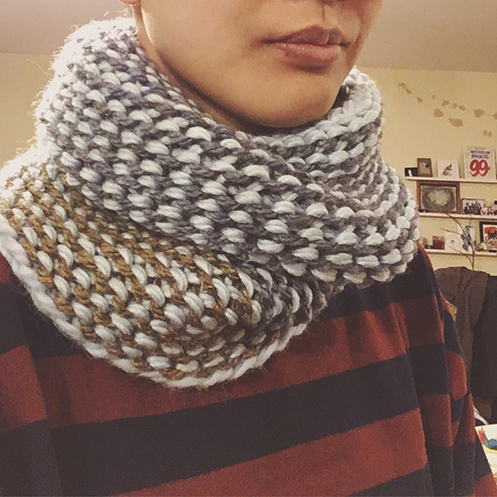 I also made a cowl, which was inspired by the Purl Soho Garter Gaiter cowl, using alternating colours for the e‐wrap and purl stitch rounds. It was made on the 41‐peg loom. On the topic of knitting for a good cause, the Warming Toronto Knitting Day is back again at the end of February! Mike and I are planning to be there :D If you’re in the neighbourhood we’d love for you to pop by! You can find all the details here on Facebook.